Globestock supply a range of restraint and shock-absorbing safety lanyards. All made in Britain. Karabiners are supplied separately (unless otherwise stated). Colours may vary. 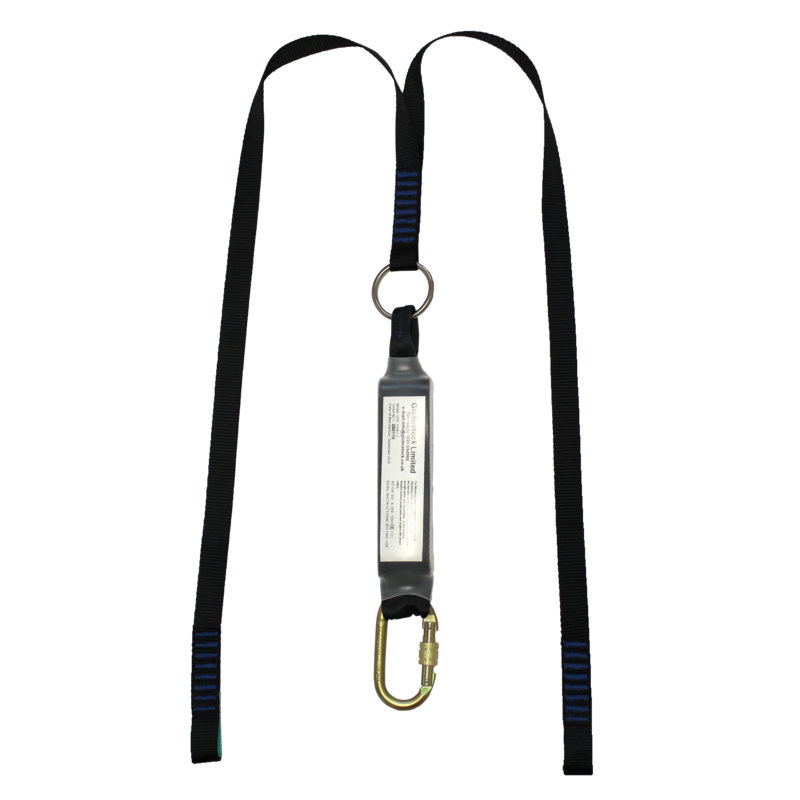 Restraint lanyards prevent a user from falling by restricting access to an edge, or by preventing movement towards a hazardous area. Restraint lanyards should not be used as part of a fall arrest system; for work restraint purposes only. 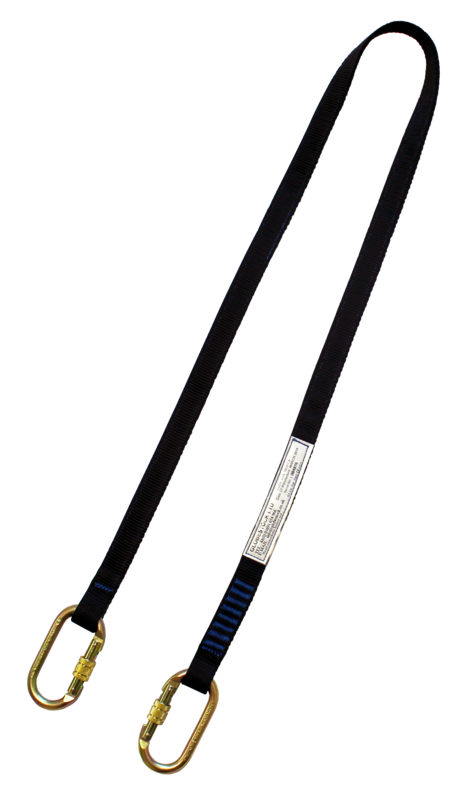 These lanyards feature a shock absorber element in order to reduce the loading in the event of a fall. When using a shock absorbing lanyard, ensure that the fall path is free of obstructions and that the working height is sufficient to stop the user’s fall. The Twin-Leg Lanyard (GSE1044) may be used for moving along sections without becoming unanchored.